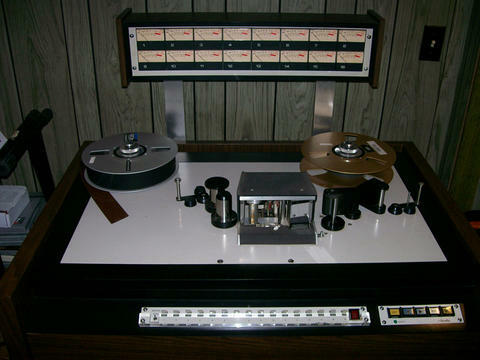 The Scully 100 Series, a new professional recorder/reproducer, offers the studio greatly improved performance, substantially lower cost, reduced size and simplified maintenance. 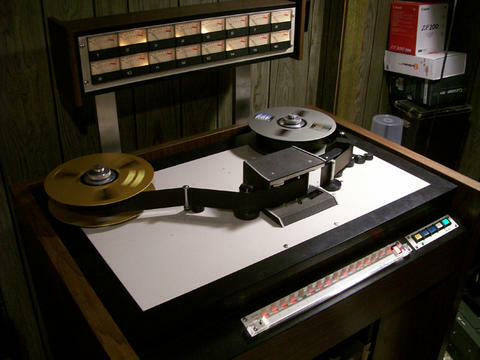 Today, most recorders are "factory-loaded" with features, accessories and extras that are already available on studio mixing consoles. 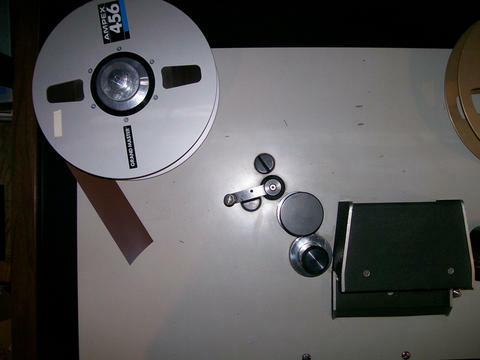 The Scully 100 offers a much-needed basic master recorder/reproducer, available with as few (or as many) accessories as are needed. This new Scully series establishes a new standard of performance in over-dubbing or sync modes. Studios will appreciate the absence of switching transients and the ability to go from play to record sync... in fact from any mode to any other... with no measurable performance difference. 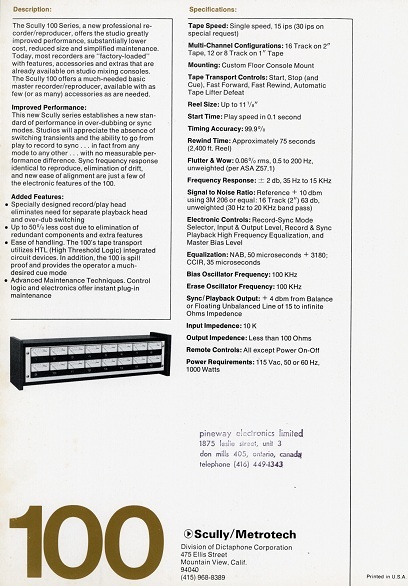 - Specially designed record/play head eliminates need for separate playback head and over-dub switching. - Up to 50% less cost due to elimination of redundant components and extra features. - Ease of handling. 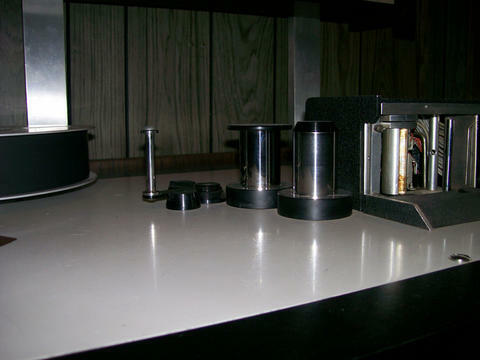 The 100's tape transport utilizes HTL (High Threshold Logic) integrated circuit devices. 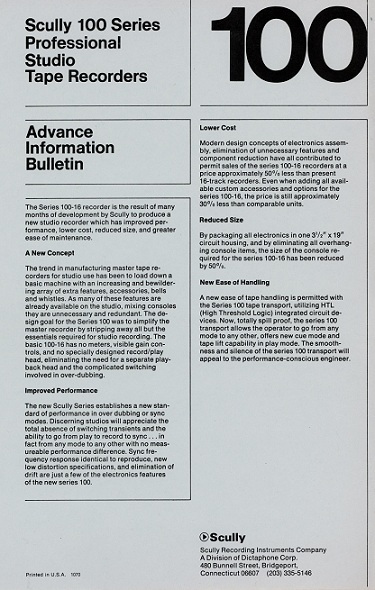 In addition, the 100 is spill proof and provides the operator a much-desired cue mode. - Advanced Maintenance Techniques. Control logic and electronics offer instant plug-in maintenance. 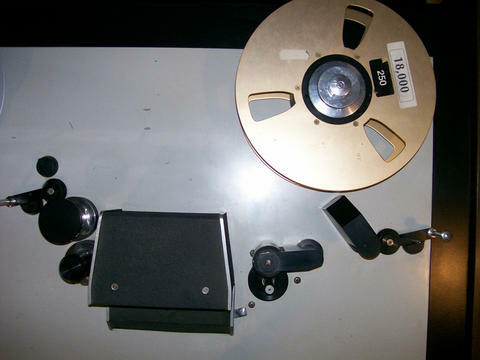 Scully 100-16, 16-Track 2" Recorder/Reproducer. Above (5) five photos courtesy of Steve Puntolillo and the Scully Group. 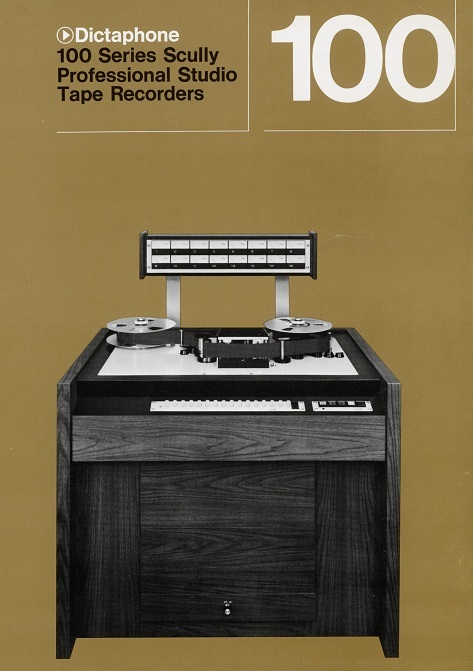 Do you have content, to add, about the Scully Model 100 Tape Machine or associated topics? Please feel free to Share it, here!